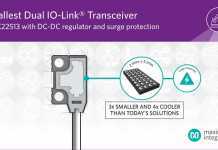 Analog Devices, Inc., which recently acquired Linear Technology Corporation, announces the LTC6432-15, a wideband fully differential amplifier with 15dB gain, offering linearity of up to +50.3dBm OIP3 (output third-order intercept), very high OP1dB (output 1dB compression point) of +22.7dBm, and 3.2dB noise figure at 150MHz. In addition to its outstanding signal-to-noise at high frequencies, it maintains its dynamic range performance even at lower frequencies. That is because the LTC6432-15’s advanced SiGe bipolar design exhibits significantly lower 1/f noise frequency corner than that of GaAs or pHEMT FET based amplifiers. Hence its noise figure rises to only 6.6dB at 100kHz, compared to more than 20dB for other amplifiers. The LTC6432-15 effectively extends the useful bandwidth and dynamic range performance for many applications that process low-frequency signals. 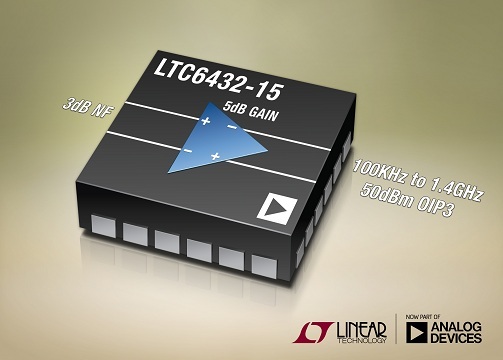 Moreover, the LTC6432-15 achieves superior stability over temperature, power supply ranges and from device to device compared to GaAs and pHEMT amplifiers. 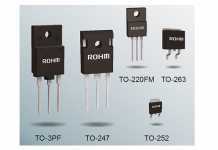 The LTC6432-15 operates from a single 5V supply. It draws a nominal 166mA supply current. The device is specified for operation over a case temperature range from –40°C to 85°C. 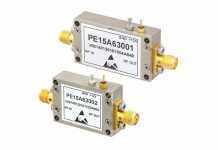 The LTC6432-15 is available in a 4mm x 4mm plastic QFN package in two grades: a B-grade with all typical parametric performance at $3.69 each in 1,000-piece quantities, and a higher performance A-grade with tested and guaranteed specifications at $6.44 each. Both are available immediately from stock. For more information, visit www.linear.com/product/LTC6432-15 .